We have a low volume, announcement only email that we send out to interested AARF friends. We average a little more than one a week. Only AARF Administrators can send out emails; all replies by any list member are discarded, so all our subscribers see is our emails. We don’t maintain the email addresses on any of our computers; they are all in a database on a server behind firewalls hosted by our ISP in the USA. To give you an idea of our emails, this is the email we sent out on Feburary 17th, 2013. If you would like to subscribe and get emails like these, see our subscription instructions. You can subscribe, unsubscribe or change your email address at any time. 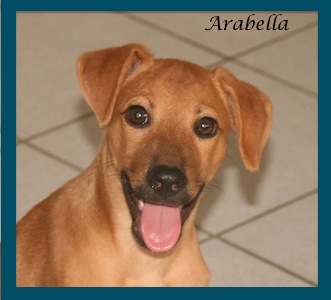 Arabella is still at the shelter waiting for a loving forever home. 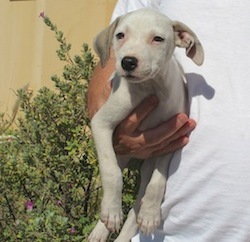 She is friendly, gets along well with other puppies and adult dogs, loves to be cuddled, enjoys walks with people, is smart and responds well to training such as walking on a leash, and overall is a really nice puppy. 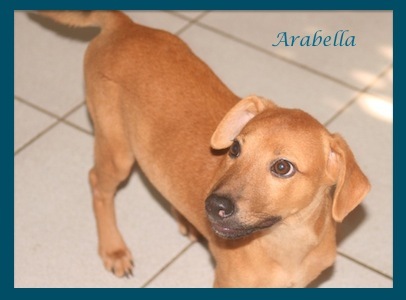 Please consider adding Arabella to your family, or if you can’t, then help spread the word about her so that she will soon have her very own special family. 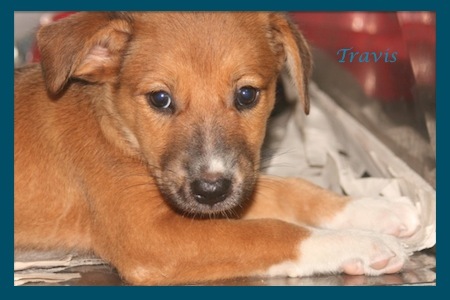 Travis is a new puppy at the shelter and is also available for adoption. This little cutie is around six weeks old. Arabella and Travis are at the AARF Adoption Centre and Shelter, located within Morlens Veterinary Clinic near the Sandy Hill roundabout. We are open Monday–Friday 9:30–12:30 and 3:30–5:30 plus Saturday 9–12. 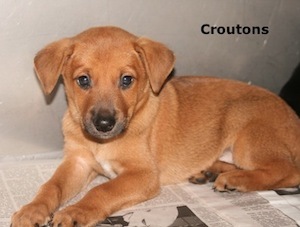 The adoption fee for puppies is $25. That includes their first vaccination and deworming, $10 off their second and third puppy vaccinations (they need three to be protected from common and serious diseases), veterinary exam, and their spay/neuter when they are around six months old. Are you traveling from Anguilla to Toronto? If so, consider giving a ride to a puppy. 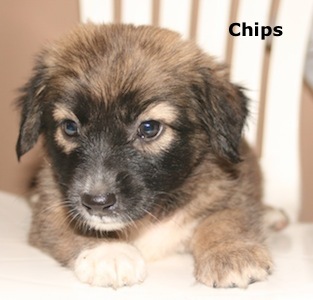 We have rescue friends in the Toronto area who will find loving forever homes for our puppies – we just need help getting the puppies to them. All of the puppies’ expenses will be paid; you just need to make a reservation with your airline and take the puppy in the cabin with you. We’ll provide a soft carrier that will fit under the seat in front of you. Westjet is a very pet friendly airline. You’d be saving a precious life and giving the puppy a wonderful future. We don’t have enough homes in Anguilla, and this is literally a life saver. 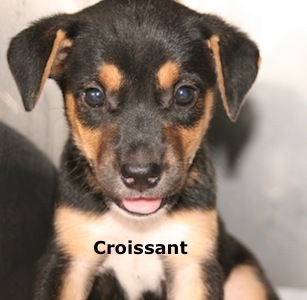 If you can help or want more information, stop by the shelter, email sally@aarf.ai, or call us at 264.476.2731. 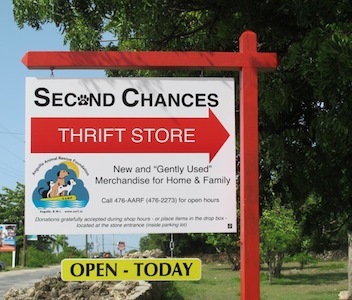 Visit us at Second Chances for lots of bargains! 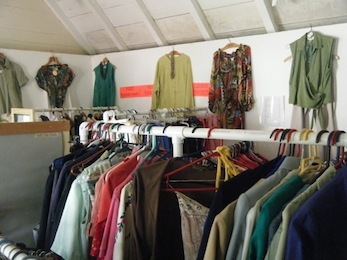 We have clothing for everyone, shoes, purses, hats, jewelry, housewares, tons of books, CDs, DVDs, jigsaw puzzles, magazines, linens, electronics, office supplies and more. We rely on your gently used or new donations of merchandise. 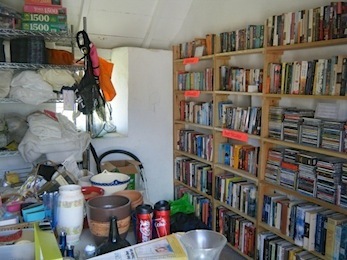 Our donation cottage is back in place thanks to Rebecca and Jim, and donations can be put in it 24/7. We are open Tuesday, Friday, and Saturday from 9–12. We’re located on the grounds of St. Gerard’s Catholic Church in The Valley; look for our sign near the entrance. When you enter the grounds, head left and you’ll see our donation cottage and the historic Wallblake cottages that are Second Chances. The entrance is marked with colorful flags on the white picket fence. We need hangers including skirt/pant hangers, so if you have extras, please bring them by or drop them off at the shelter. And if you are done reading your magazines, drop those off too! Like us on Facebook. If you haven't been to our Facebook page, check us out at Aarf Anguilla. We post fun photos and updates on a regular basis and enjoy getting posts from our Facebook friends. AARF Donation Boxes. 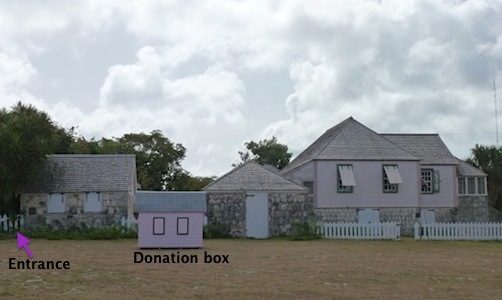 As you shop around Anguilla, you notice our donation boxes at checkout counters and in other spots at various stores. The money that is donated into these boxes goes toward spaying and neutering animals whose people need financial assistance. 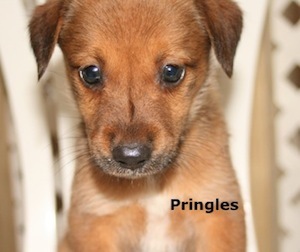 It's a great way to help the problem of unwanted puppies and kittens in Anguilla; all of your spare change makes a difference. If you are a store owner who doesn't currently have one of our donation boxes and would like to help by having one available for your customers, send us an email at aarfinfo@aarf.ai or call us on the shelter phone at 476.2731 and we'd be happy to bring you a donation box. Donate cash. It costs us close to $50,000 a year to keep the shelter going. We also have ongoing financial needs for our spay/neuter program, medical help for animals in need, educational programs, and our international rescue program. More information on these programs, and how to donate via PayPal, may be found on our website, aarf.ai. We are registered as a 501(c)(3) organization in the United States and donations paid to our Florida subsidiary, AARC, may be deductible on your U.S. tax return. Donate things on our wish list. Some of the items we always need are small puppy collars (6–12=94), leashes, kitten and cat breakaway collars, towels (used are fine) for shelter guest baths, newspapers to line the puppy kennels, and bleachable toys. See our Wish List on the AARF website. Foster. Sometimes we have a need for short–term fostering. Our shelter guests also love being fostered for a weekend; you can pick them up at the shelter on Saturday morning and bring them back on Monday morning. Shop at Second Chances. Our thrift store is AARF’s main source of income. It’s a fun way to support AARF: you get some great bargains knowing that your purchases go directly to helping our four–legged friends. Donate your gently used or new merchandise that you no longer need to Second Chances. Buy AARF merchandise. We sell tee shirts, hats, visors, mugs, and koozies at the shelter and Second Chances. Doggy bandanas and animal earrings are sold at Petals, the gift shop by Frangipani and Straw Hat. Pam at SeaSpray sells AARF tee shirts and animal earrings. Play with and cuddle puppies and kittens. Come by the shelter and give some love to our shelter guests. The best time to come is around an hour after opening in the morning, or during afternoon hours. 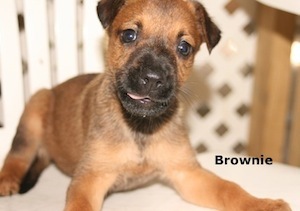 By then the puppies and kittens have been fed, kennels cleaned, and they are ready to play and sit on your lap. Walk the older dogs. When we have older dogs at the shelter, they love being taken on walks. It’s good training for them to learn walking on a leash and being around traffic and people, too. If you’d like to be a dog walker, let us know and we will contact you when we have suitable companions for you. Share AARF’s needs, photos, and stories on Facebook and other social media. Be an adoption ambassador: help get the word out to everyone you can about the animals at the shelter waiting for adoptive homes. Post adoption flyers. We’ll provide the flyers, all you need to do is post them around Anguilla. Transport dogs and cats between their home and the clinic for their vaccinations, spay/neuter surgery, or other vet appointments. Volunteering — If you’d like to become an AARF volunteer in any capacity, send us an email at aarfinfo@aarf.ai, leave us a message on the shelter phone 476.2731, talk to us at the shelter or Second Chances. We are always happy to have new volunteers! Whether you donate cash or goods, buy AARF stuff, stop by the shelter to walk dogs or play with the puppies and kittens, adopt, attend our fundraisers, transport puppies and kittens to their new homes, help find homes for the homeless, send us emails of support, share our stories on Facebook, or pass the word about AARF to your friends — all of your kindnesses mean so much to us and without your support we could not accomplish what we do. Thank you! 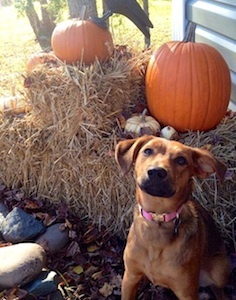 It's Halloween week and Gracie, who made the very long trip from Anguilla to New Brunswick, Canada and her new family, is getting into the spirit. 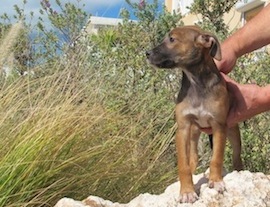 It's a good time to think about adopting your own Anguillian puppy or kitten, or adding another to your family. 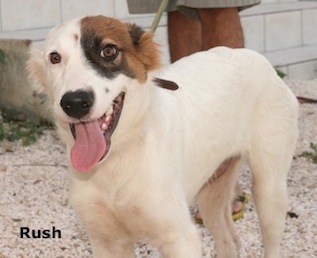 We have lots of friendly guests at our AARF shelter who would love to have their own forever families. 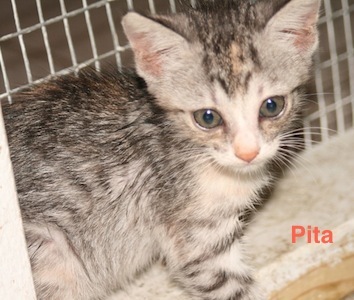 Pita and Graham are sweet girls around eight weeks old. 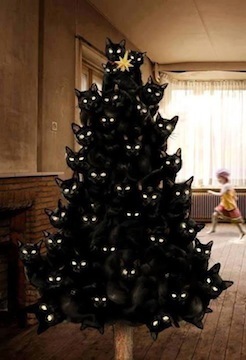 We also have some new black male kittens. 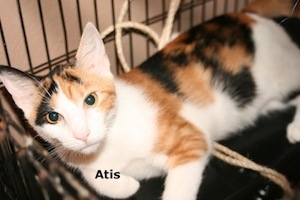 Atis is the perfect lap cat, still a kitten but several months old. 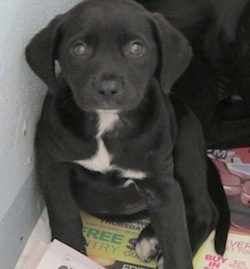 She has already been spayed and is ready to go home with you. The adoption fee for puppies and dogs is $25 and for kittens $20. 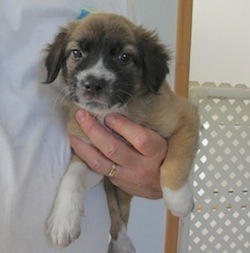 The adoption fee includes their first vaccination and deworming, $10 off the second and third vaccinations for puppies and kittens (a series of three is needed to protect them from common and serious diseases), veterinary exam, and their spay/neuter surgery when they are around six months old. 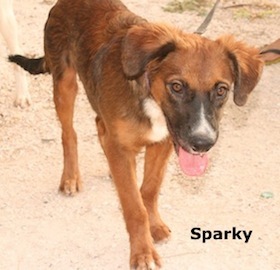 Since Rush and Sparky are over six months, their neuter surgery will be scheduled upon adoption. 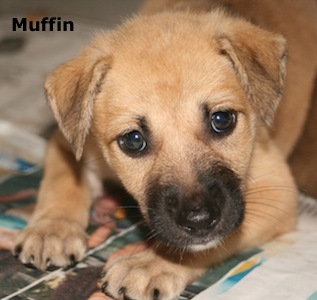 Come and meet our adoptable animals at the AARF Adoption Centre and Shelter. We are located within Morlens Veterinary Clinic near the Sandy Hill roundabout. If you aren't sure where we are, there is a map on our website, www.aarf.ai. 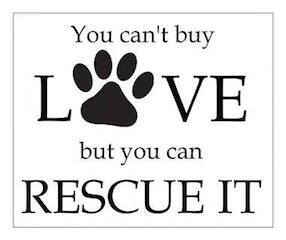 We are open Monday-Friday 9-12 and 3-5 plus Saturday 9-12.
International adoptions and international rescue transports. It's easy to adopt and take your new family member home to the US or Canada with you. Take home a warm, loving part of Anguilla! 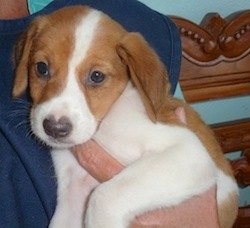 We also need people to transport puppies and kittens to our rescue friends in the US Northeast and Toronto. We just don't have enough adoptions in Anguilla for all of our adoptable animals, and taking them to our rescue friends ensures that they will be adopted into loving homes. If you would like more information about adopting or transporting internationally, send us an email at aarfinfo@aarf.ai or stop by the shelter. 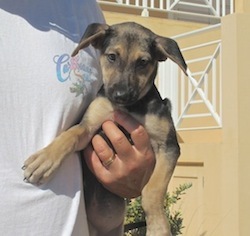 You can also message us via Facebook: Aarf Anguilla or call the shelter at 264.476.2731. By adopting or transporting, you will be making all the difference for the puppy or kitten who you help. Carriers Needed. If you have a gently used or new soft pet carrier that you no longer need, think of us. We use them for our international travelers, and while we get many of them back to reuse, at the moment we are desperately in need of more carriers. Bingo November 30th at Roy's Bayside Grill. Save the evening for a fun time and a chance to win some great prizes. Tickets are now available from AARF board members and at the shelter. Yard Sale December 14th, again at Roy's. If you have any gently used things that you can donate, they can be dropped off at the shelter or at the AARF container behind Anguilla Techni Sales on the North Hill Road. If you have large items such as furniture and need help, let us know. Bringing carriers back to Anguilla. We have an ongoing need for people to bring carriers with you to Anguilla. These are ones we use for our Anguilla Puppy Express transports, and we like to use them over and over for lots of happy transports. If you can bring some with you, let us know and we will have them mailed to you from one of our rescue people. They are the soft carriers that will fold up to go in a checked bag, or that you can use as one of your carry-ons. Thank you all for your continued support of AARF and the puppies, kittens, dogs, and cats we serve. Did you forget to come and get me on Valentine’s Day? 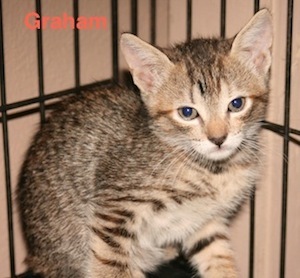 It’s not too late, I will love you just as much even though you’re a bit late coming to adopt me! Hello from the ABC Girls, officially known as Aurora, Bubbles, and Celusa. We’re the ones who survived near death at the hands of the evil parvovirus. We are now healthy and full of energy and while we love our foster mom and dad, we want to have our very own forever people. We all have lots of fun playing together and would enjoy having a playmate at our new home — maybe you’d take two of us? 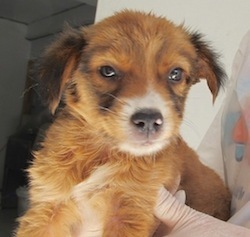 If you have other puppies at home, make sure they have been fully vaccinated as we might still be able to spread the parvo virus for a few days even though we don’t have it any more. We all have excellent hearing and are great guard dogs, alerting our people whenever a person or a cat comes by. They also have a tortoise who lives in their yard, and boy can we bark loud when that girl (her name is Annie, BTW) comes close. We don’t quite get the concept of a tortoise but if you have one in your yard, I’m sure we can get used to her. It’s hard to get us to settle down quietly for a photo shoot, so you’ll have to do with last week’s pictures. If you want to come and meet us, send us an email at aarfinfo@aarf.ai and we’ll arrange a date! You bring the treats, please. We’re Buddy, Bo, and Scooby. We were pretty dirty when we came to the shelter yesterday but we cleaned up nicely, didn’t we? We’re from the West End where some nice construction guys were taking care of us but we’d really prefer to have our own families with plenty of good food and nice shelter and even a bath now and then. The volunteers at the shelter think we’re pretty darned cute. 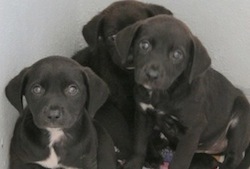 We’re Marley, Pearl, and Lady, three little ladies who will win your heart. We are a bit shy and retiring but if you offer us love, we quickly respond. How can you resist our beautiful eyes? We’re Mickey and Sandy and we happen to think that WE are the cutest puppies in the shelter. We are fluffy and downright adorable. Of course we have great personalities, too. We have someone who wants to adopt us in Boston but we need help getting there. If you can give us a ride, we would be oh, so very grateful. We promise to be good on the flights and give you lots of love and attention. 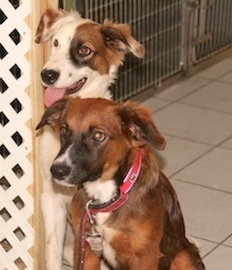 Of course if you are in Anguilla and want to adopt us, we might just fall in love with you and want to go home with you instead of heading to Boston. Some of our friends did get adopted this week and we are very happy for them: Eddie, Kermit, Yogi, Eeyore, and Lassie all went to great homes. Also good news for the lost/found dog we featured last week, who we renamed Reggie; he is now back home with his mom. The AARF Shelter and Adoption Centre is open Monday–Friday 9–12 and 3–5 plus Saturday 9–12. We’re located within Morlens Veterinary Clinic near the Sandy Hill roundabout. 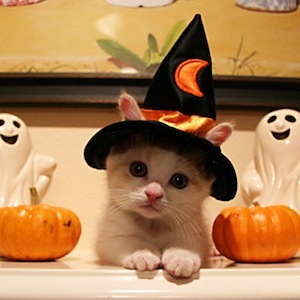 The adoption fee for puppies is $25 and for kittens $20. That includes their first vaccination and deworming, veterinary exam, $10 off their second and third vaccinations, and their spay/neuter surgery when they are around six months old. 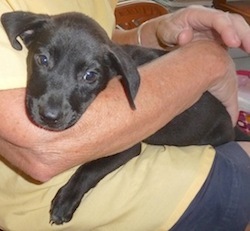 If you are just visiting Anguilla, it’s easy to adopt a puppy or kitten and take her/him home to the States or Canada with you! Stop by the shelter, meet our guests, and talk to the volunteer on duty about the procedure. 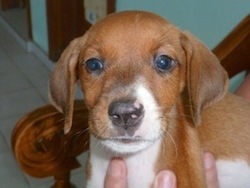 Also check out the adoptions information on our website, www.aarf.ai. We have lots of details about adopting internationally as well as locally, and lots of "happy tails" to share. 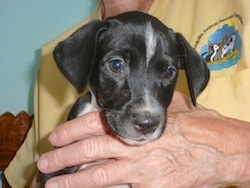 Not ready to adopt, but heading back to JFK, Newark, Boston, Philly, Baltimore or nearby destinations from Anguilla? We have puppies who need a lift – their expenses are paid and you would be saving a life! People who have taken our puppies and kittens along with them in the past all say how much they enjoyed it. The pets are always the center of attention at the airline gates and on the plane and are good travelers. Call us at the shelter (264.476.2731) or email aarfinfo@aarf.ai for details. Spread the word! Fun Raffles. Join us for Happy Hour at Roy’s every Friday night. Mandy and Roy are huge supporters of ours and have resumed the popular Friday night raffles that benefit AARF. Come to Roy’s Bayside Grill in Sandy Ground for happy hour dinner from 5:30–7. We have a new raffle every Friday, with fun prizes. Raffle tickets are $1 each or 6 for $5 and the drawing is at 7pm. Some of our friends bring raffle prizes when they come to Anguilla, and that is very much appreciated. All proceeds go directly to helping our animals. We need newspapers and metal bowls at the shelter. We’re running short of newspapers at the shelter, so if you want to recycle yours, we can definitely use them. We line the kennels with them and when we have puppies we go through a lot of newspapers. We also have a need for metal food and water bowls, preferably stainless steel, that can be easily sterilized. Best for our needs are the ones that aren’t easily tipped over by puppies and that have no rubber or plastic parts. If you have newspapers or bowls that you can donate, just drop them off at the shelter during any open hours. Thank you. It’s “Sweet on AARF Week” at Geraud’s. Geraud’s is sponsoring their second annual benefit for AARF, donating a portion of their sales to us. AARF volunteers will be at Geraud’s from Tuesday, February 19th through Sunday, February 24th, 8:30–2:00. We’d love to talk to you and we’ll have tee shirts, hats, memberships and other things to offer for sale. Come and have breakfast or lunch or a snack; Geraud’s always has something to tempt you. Yard Sale March 16th. Save the date for our always popular quarterly yard sale. It will be at Roy’s Bayside Grill in Sandy Ground from 9–12. Please think of us when you are cleaning out your house. We very much appreciate your donations of gently used merchandise. You can drop off things at the shelter or at the AARF container behind Anguilla Techni Sales on the North Hill road. If you have furniture or other large items and need help with transporting them, let us know and we’ll be happy to help. Whether you donate cash or goods, buy AARF stuff, stop by the shelter to walk dogs or play with the puppies and kittens, attend our fundraisers, send us emails of support, share our stories on Facebook, or pass the word about AARF to your friends — all of your kindnesses mean so much to us and without your support we could not accomplish what we do! Thank you! That’s it. If you would like to get these emails (they are timely and are easy to read), please join us! Here are the directions to sign up.